American Oversight today sued the General Services Administration (GSA) to compel the release of records related to the MyPillow contract with GSA to sell pillows to federal agencies. MyPillow, a pillow manufacturing company, has faced significant setbacks over the last few years but has seen its fortunes turn around under the Trump administration. MyPillow CEO Mike Lindell donated a significant amount of money to Donald Trump’s presidential campaign and the Republican National Committee. According to OpenSecrets, Lindell donated to the campaign on two separate occasions in October and August 2016, both times in the amount of $2,700. He also appeared on the campaign trail in support of Trump a number of times. On July 19 of last year, MyPillow was featured at a “Made in America” roundtable at the White House, where President Trump personally endorsed the product. 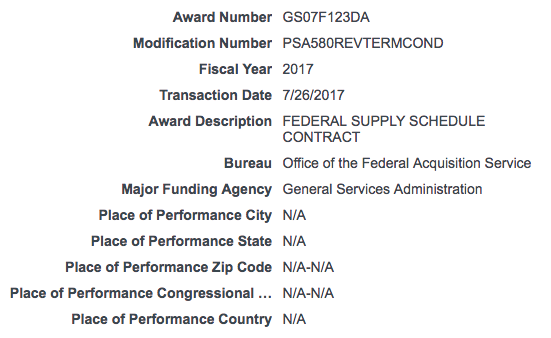 On July 26, 2017, just days after the White House event, GSA modified MyPillow’s contract award. On November 6, 2017, American Oversight submitted a FOIA in order to better understand why these contract changes were made and if the CEO’s association with the Trump campaign and the White House influenced this decision. GSA failed to respond to American Oversight’s FOIA request as required by law, and so we filed suit today in the U.S. District Court for the District of Columbia to force the agency to release the requested records. Separately, American Oversight today submitted new FOIA requests to GSA seeking information about two additional modifications that were made to the MyPillow contract in January 2018.